Thank goodness for that handy invention, bubble wrap wine skins. They really do work and we have been able to safely bring home wines from Australia, France, Italy, Argentina, Chile and Washington state (which is quickly becoming a favorite of mine – but that’s another wine, another blog). Today, I’m tasting one more Australian wine we purchased from Wine Selectors and brought home with us last summer. 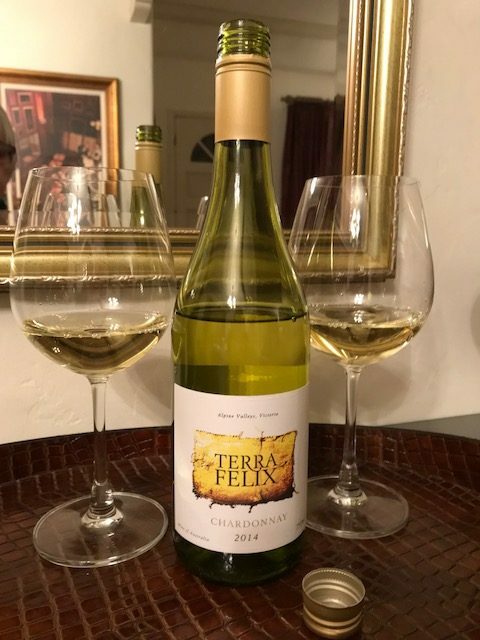 This 2014 Terra Felix chardonnay comes from a single vineyard in the foothills of Mount Buffalo near Myrtleford in Alpine Valley, Victoria. Terra Felix means “The Lucky Country” in Latin, the way that owner Peter Simon’s father viewed Australia when he immigrated from Austria. At first, the bouquet displays a faint vanilla scent with nutty oak overtones. As the wine opens up, the oak becomes more pronounced. 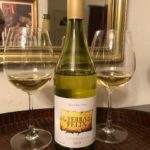 This medium bodied chardonnay has a light golden color. The mouthfeel is clean with crisp acidity in the finish. Flavors of citrus zest, apple and grapefruit come through. We paired this wine with a Brie du Pommier, an aromatic artisan organic cheese from France and seasoned, seed covered flatbread crackers. The wine held up well to this rather flavorful combination. The wine sells for $25 Australian dollars at Wine Selector.